Today's business world is quite the opposite from the past it used to be. Organizations are always engaging in finding new ways to fulfill the ever-changing needs of their customers with their innovative and cost-effective products. Companies are investing in technology to serve their customers 24/7 and are trying to expand their business internationally. Technological changes and advanced software made companies operate internationally. Netsuite helps organizations in finding innovative ways to deliver their services. Change is constant and inevitable in any field. Business organisations have to embrace the change to reach their desired destinations. Competitors in the market are ready to grab every opportunity available to them to catch the new customer segments. To face this rapid competition and to sustain in the long run, organizations have to come up with latest innovations and new technologies to serve customers with better products and services. Netsuite is an online software system which enables organizations to handle all business related activities through a single system. This service is simple to setup and easy to use, and more importantly, it is not associated with fees such as licensing, new hardware setup, etc. Companies across the world started migrating to Netsuite software for multiple purposes, which include enterprise resource planning (ERP), to handle customer relationship management (CRM), to host e-commerce stores, to track their financials and to track the inventory availability and much more. It is a very flexible software and can be applied to different applications of the business. Majority of the companies are shifting to cloud technologies to lower the operating costs and to take the competitive edge over their rivals. Cloud enables business organizations in reducing the operating costs and thereby helping to reach new markets at minimal cost. Cloud allows organizations to achieve fault tolerance, cost efficiency, unlimited storage facility, and the ultimate aim to achieve success. A sandbox is a testing environment in which we can test any program or software before moving it into the live production process. Sandbox environment helps us in finding the loopholes or errors associated with it. It acts as a replica of live testing without affecting the actual process. A sandbox creates an operational environment in which we can perform execution, operation, and testing process without any effect on other running programs in the system. Sandbox technique is also used to test the accuracy of information security to make sure files containing no malicious code or to analyse the suspicious software. What is Sandbox Account in NetSuite? NetSuite offers a product called Sandbox to their customers, and it acts as a copy of their current company database on a separate server. Once you are done with the buying process the next step is to request access for the Refresh sandbox account. Refresh feature helps in creating a copy of the production database at the time of the request. This process takes 1-2 business days to get completed. We get a limited number of Refresh options from the NetSuite, and if we need extra, we need to pay for it. Sandbox would be a great facility for the NetSuite customers who wish to develop their system customizations, Java Scripting modes using SuiteScript, or workflows using SuiteFlow, or any other portion of their NetSuite system. Sandbox enables companies in training their employees without affecting the actual production process. There are two different types of Sandbox accounts available to its users. They are Development account and Premium account. The development account comes with the same features as what your production account contains, but it does not include any production data or company customizations. It is useful when we outsource or let outsiders develop something for us without allowing them to access our Production environment. Standard sandbox is best suitable for those whose operations are limited or who use it for end to end testing purpose. But, when it comes to organizations with multiple projects and where complexity is high, we need a sandbox which supports such kind of environments. Netsuite offers Premium sandbox account for the customers whose data volumes and level of Complexity are bigger. It supports high volume automated performance testing. 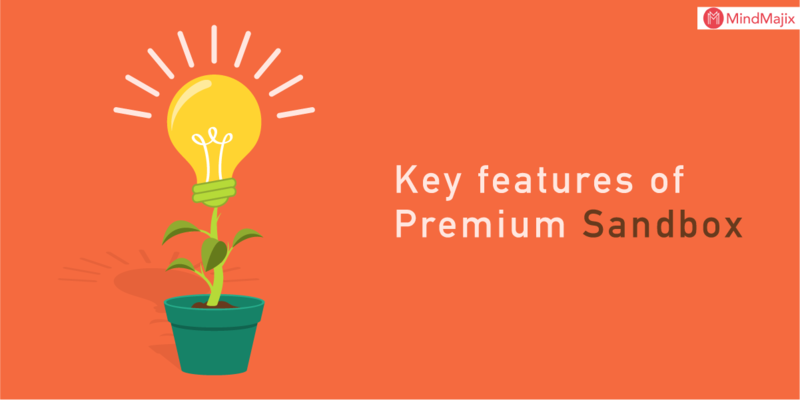 The premium offering will replicate your customizations, configuration, and data also. It even allows us to refresh data at any time. Premium Sandbox is best suitable for customers or clients whose transactions are vast and complex. It pays close attention to your production performance profile and acts as a tester. This sandbox is best suitable to test the process of business customizations, and their accompanying data flows in an isolated environment. It gives us an environment for testing the long-running customizations, and then we can bundle and move to a production account with the help of SuiteBundler. Premium Sandbox allows a functional environment for training individual employees and teams, and permit to test existing and new projects. It contains the same features and data of the production account. Each sandbox account that we purchase comes with three different accounts used for various purposes. These three accounts are also called development accounts. Let's have a glance on each account. With this, we can perform the activities like SuiteFlow customization building, basic SuiteScript, and testing which does not demand customer data. It is well suited for the organizations or clients who wish to develop customizations with SuitScript or SuitFlow. It helps the organization which works with larger and more complex projects like building multiple large SuiteScript applications in parallel. As we have multiple sandboxes, this feature will facilitate developers to work with separate data sets and test customizations on their own. How to Grant sandbox access to the individual user? Below are the simple steps that need to be followed to give access to the individual user or to the person whom you want to provide access to the sandbox. Go to Lists > Employees > Employees and then click on employee record on sandbox. In the employee record tab, click on Access > Grant access, and provide the information specified over there. Click on Save changes. Now the employee or authorized person whom you have granted permission can have access to it. How to remove sandbox access from individual users? 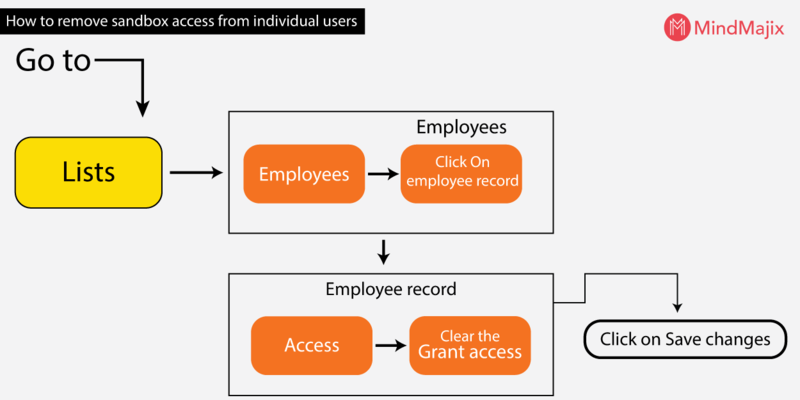 In the employee record tab, click on Access > clear the Grant access Box. Click on Save changes. Now the employee or authorized person whom you have removed from the Sandbox can no longer log in to it. When you want to refresh your Netsuite sandbox account, it will create a copy of your production account at the time of execution. Hence, all the customizations and configurations you have used in the production process will be saved. Once you are done with the Refresh process, the entire data in the sandbox will be lost. If you wish to have your customizations in between the refresh cycles, you need to use SuiteCloud developer framework or SuiteBuilder. With this, we can copy a database from Sandbox to production and vice versa. It creates an exact copy of the organization’s production environment which includes data of the company and its customizations. Infrastructure is housed and maintained within NetSuite's enterprise environment. It facilitates an environment to test, develop, train, and customize according to your business requirements. It is essential for organizations to embrace the changing technology, to capture new markets, and to simplify their business solutions. An organization will reach its goals and targets when they can satisfy their customers’ needs and wants timely and at a reasonable price. Netsuite ERP provides a one-stop solution to all problems of the business, and it enables its users to simplify their business processes. Netsuite Sandbox is a great feature and helps organizations in testing and training their employees. It works as a place to experiment with new projects without affecting the actual production process. It also saves time and money and prevents random failures in the production process.